Today we hopped on our proper coach bus to travel 85 miles southwest in the direction of Winchester- perhaps best known as Jane Austen’s burial place. Along the way we saw pockets of sheep- but not a dent in the 33 million sheep in the country. We also came mighty close to the home of Peter Gabriel, who took up residence in a box. I mean in Box. We arrived at Stonehenge on Salisbury plains while our American families back home were still in REM sleep. 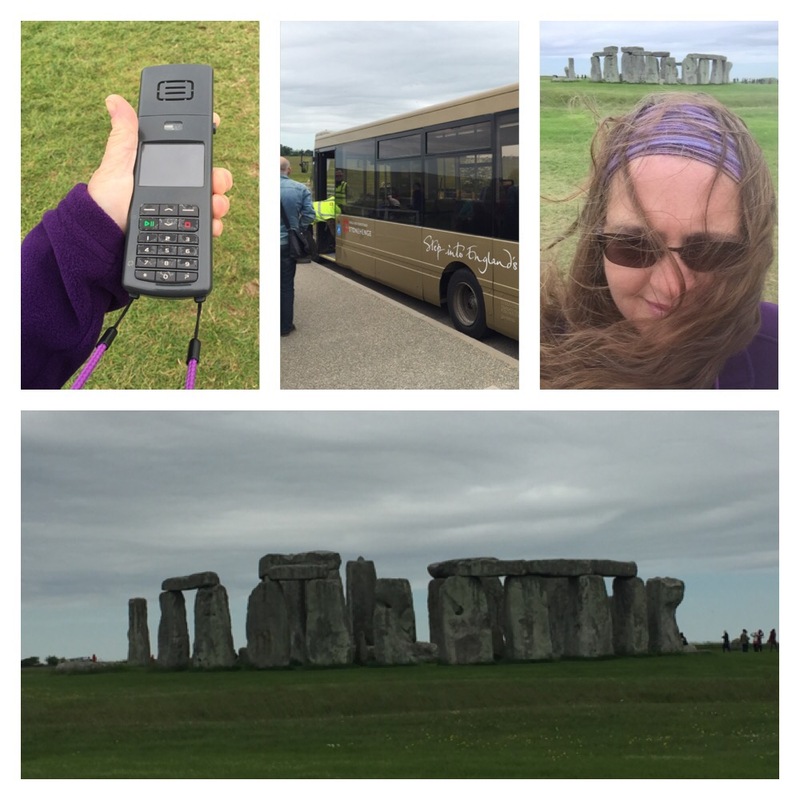 We were given an audio tour of the henges, with options for details about the lintels, the Druids, and the history and mystery of these giant trilithons … The tour was self paced and piped through devices that look like the initial cell phones of the late 1980s. After the tour, we were able to visit a gift shop, which was not there when I visited 30 years ago! Next we headed to Bath. “Bangers and mash! Be sure to get some of that while you’re here!” Exclaimed the tour guide Barry Bennet… A cheeky British fellow who loved to roll his r’s. I sought out anything BUT bangers and mash, and found a mouthwatering Brie and cranberry panini that I won’t soon forget! 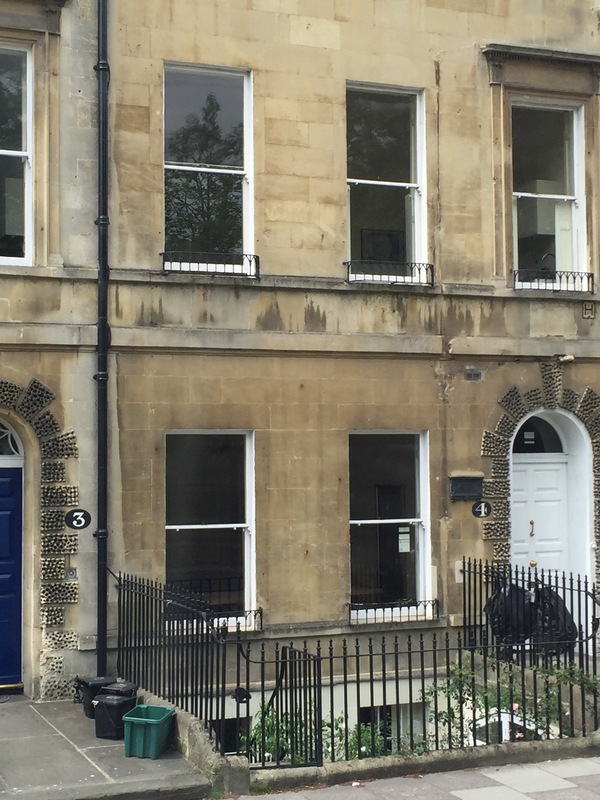 Barry also pointed out the residence of Jane Austin’s family in Bath- #4. They lived in Bath until poor Jane contracted tuberculosis and had to return to Winchester. 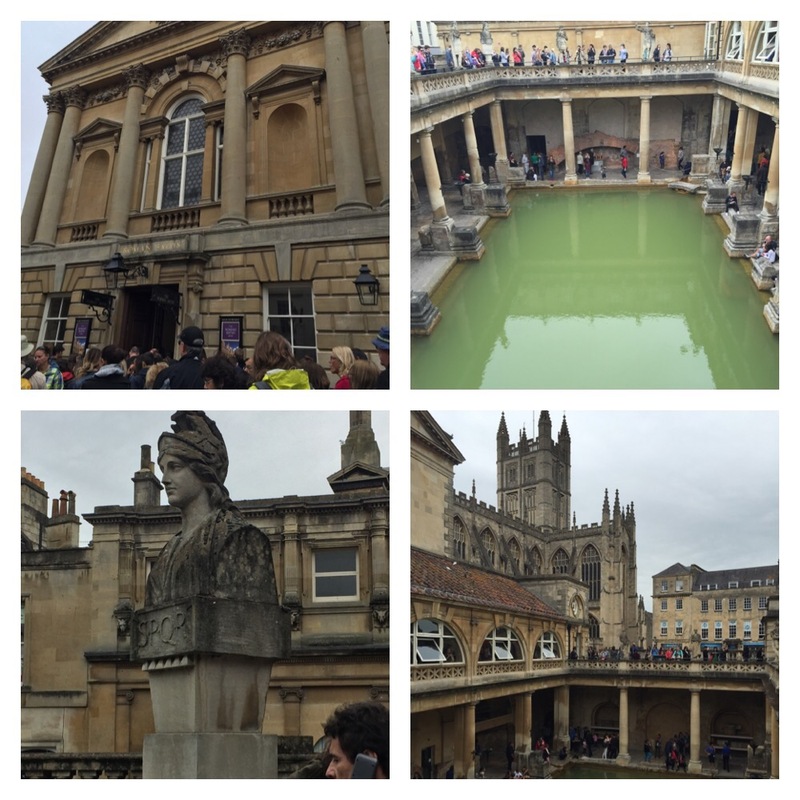 Bath was a satisfying side trip. We wandered the streets looking at the detail of the buildings. 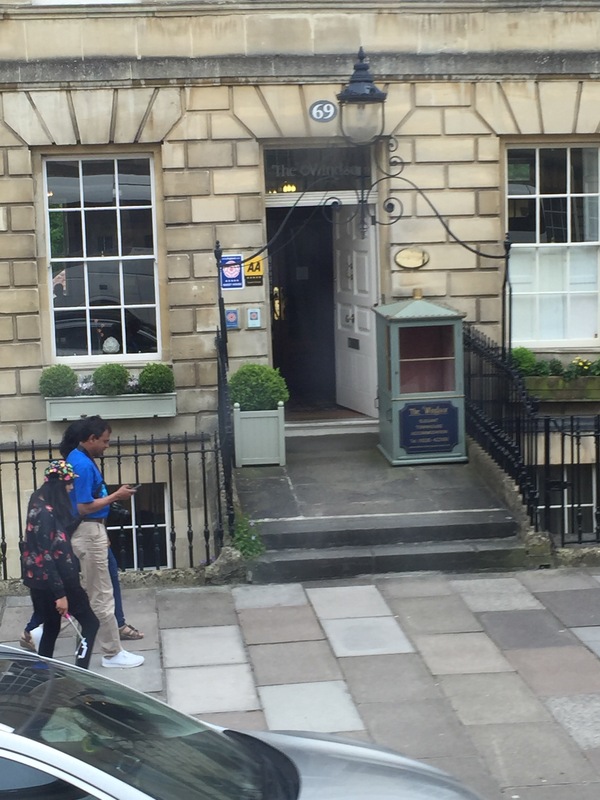 Barry Bennet told us that women of long ago days who lived in Bath “weren’t expected to walk anywhere. They were placed in sedan chairs and carried everywhere! Look to the left- there’s one!” Ummm… No thank you! The architecture in Bath is beyond impressive. The details are stunning. 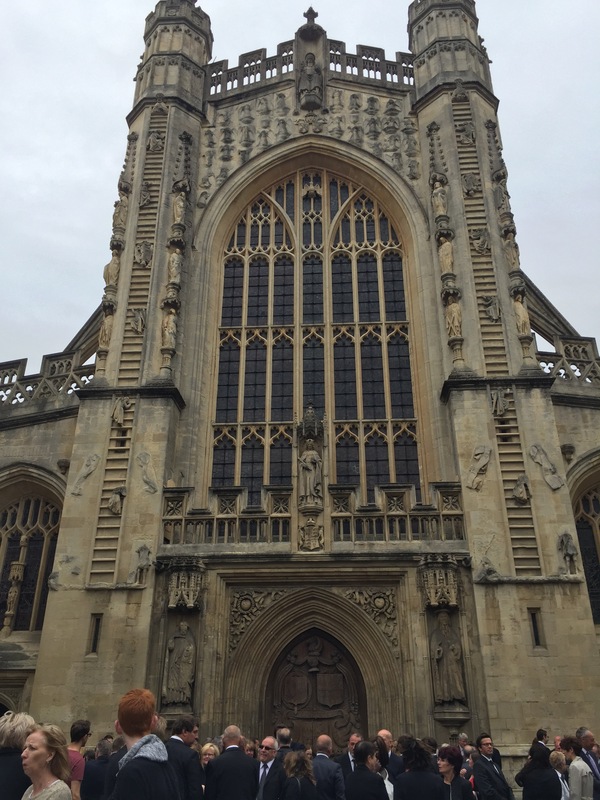 The Bath Abbey was particularly inspiring, with carved angels climbing up Jacob’s ladder on both sides of the building’s facade. The Roman Bath tour was slightly disappointing. It was a mad house and while the self guided audio tour was informative, the tour now focused on only the main public bath and “museum” exhibits of the rest. When I was here as a kid, I seem to remember seeing some of the private baths as well as hearing more of the gory details of how they flushed the waste down trenches, etc. Oh well- it was still fascinating to revisit this ancient bath house of the Romans. 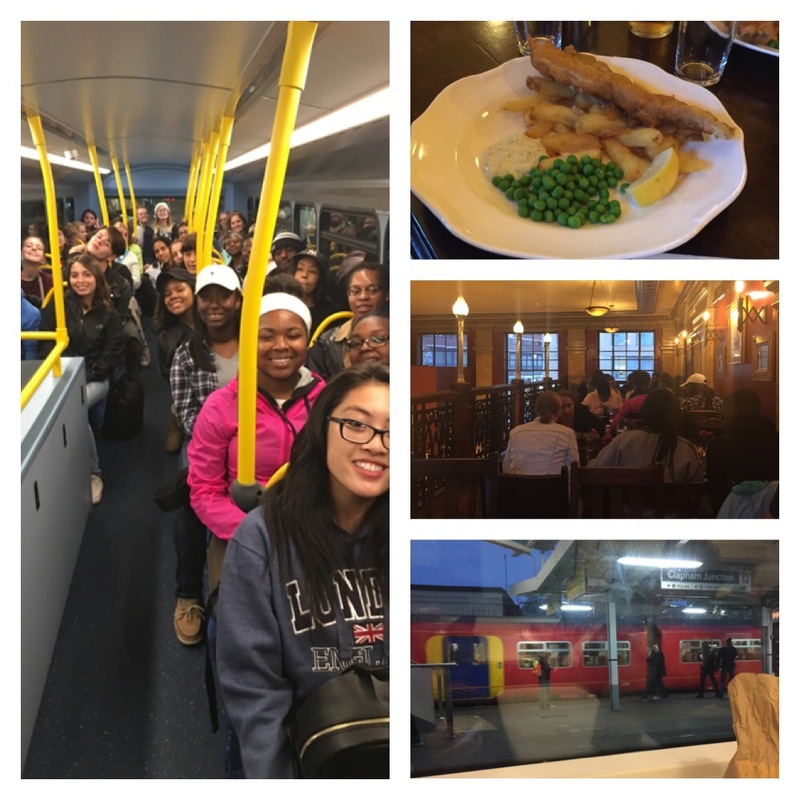 We took the bus back 2 1/2 hours to London’s Jugged Hare pub where we had a traditional British meal of fish and chips and green peas. After dinner, we hopped a train, minding the gap of course, and then got to ride on the top floor of a red London city bus back to the hotel! Tomorrow will be an early day- wake up call is slated for 5am. We will be taking the Eurostar over to PARIS!! 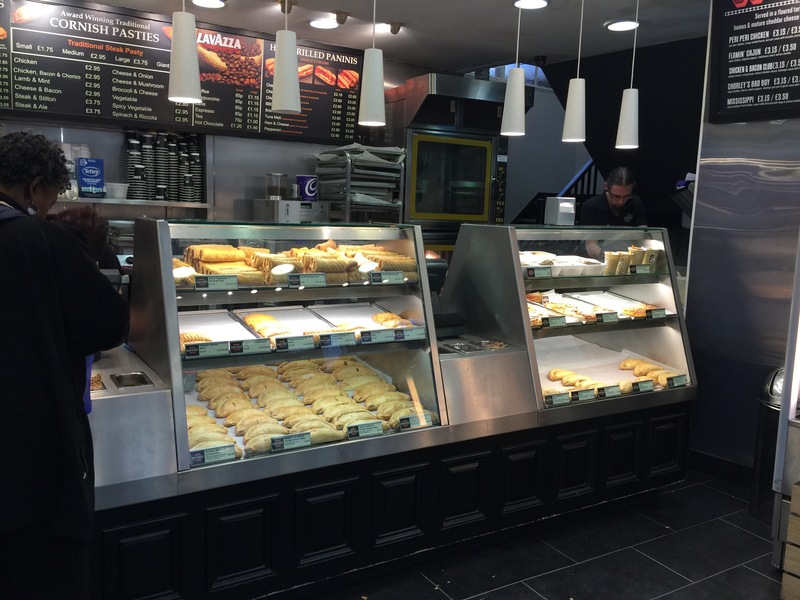 Je ne peux pas attendre pour manger une crepe a paris!!! !